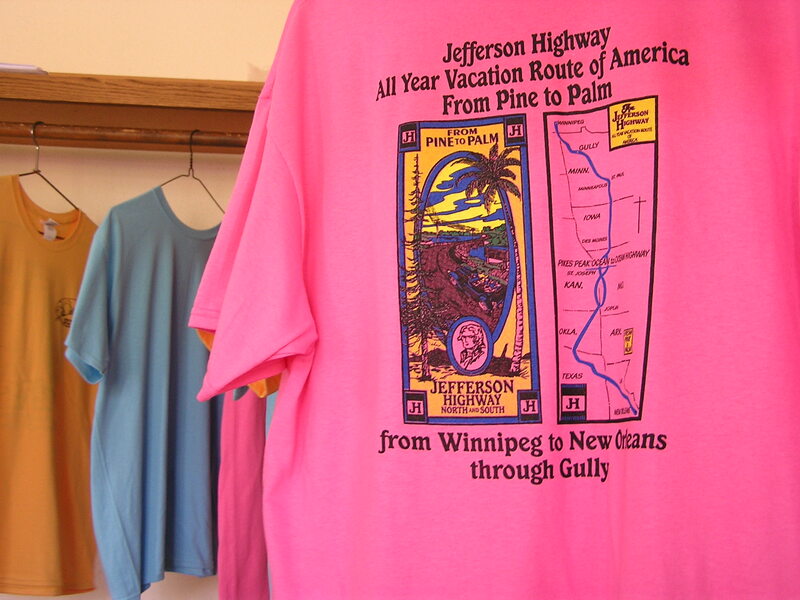 In my presentations on Minnesota’s early resorts and tourism, I have often included comments on the Jefferson Highway. However, with the 2015 centennial celebration of the highway’s conception, I have been presenting separate programs focusing primarily on the Jefferson. This led my friend Frank Mitchell and me to “Gully Day” in the small town of Gully, Minnesota, in northwest Minnesota. Gully is typical of the small towns that benefited when the Jefferson Highway meandered from New Orleans through the midsection of the nation and across Minnesota to Winnipeg. This first transcontinental highway was locally funded, and connected 235 small communities and several large cities, opening new communications, trade, and business—much different than the Interstate Highway System that emerged 50 years later and avoided small towns. Gully, on the beach of the ancient glacial Lake Agassiz, was surrounded by small farms rather than small lakes like the towns in north central and north east Minnesota. While it served as a stopping point for tourists venturing to or from Winnipeg, the highway was probably valued more as an improved route for moving farm related products and services. While the population of Gully was only 66 people according to the last census, the town was full of activity on July 18th. About 85 attended our Jefferson Highway presentation, which was at the Lund-Trail Lutheran Church. The church shared its facilities as a community center during Gully Day, and the Lund Ladies Aid prepared delicious salads, barbecues, and desserts. 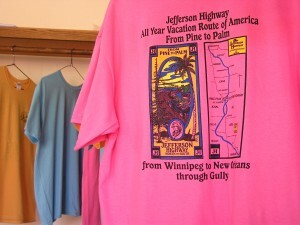 This entry was posted in All blog entries, Jefferson Highway, Minnesota Tourism. Bookmark the permalink.